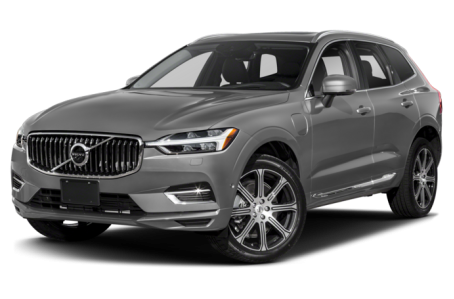 The 2018 Volvo XC60 Hybrid is an all-new variant of the compact luxury SUV. It is powered by a combined 400-hp, turbocharged and supercharged 2.0-liter four-cylinder engine and two electric motors mated to an eight-speed automatic transmission and all-wheel drive. Conventional fuel economy for the XC60 Hybrid is an EPA-estimated rating of 28/26 mpg. It has an EV range of 18 miles. Three trims are available: T8 Momentum, T8 R-Design, and T8 Inscription.